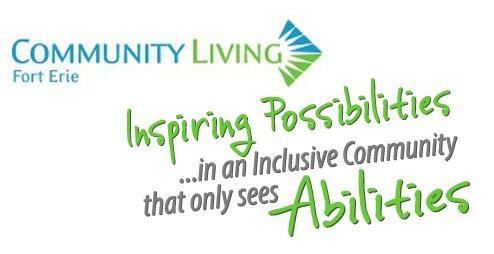 What is the Fort Erie Corporate Challenge? 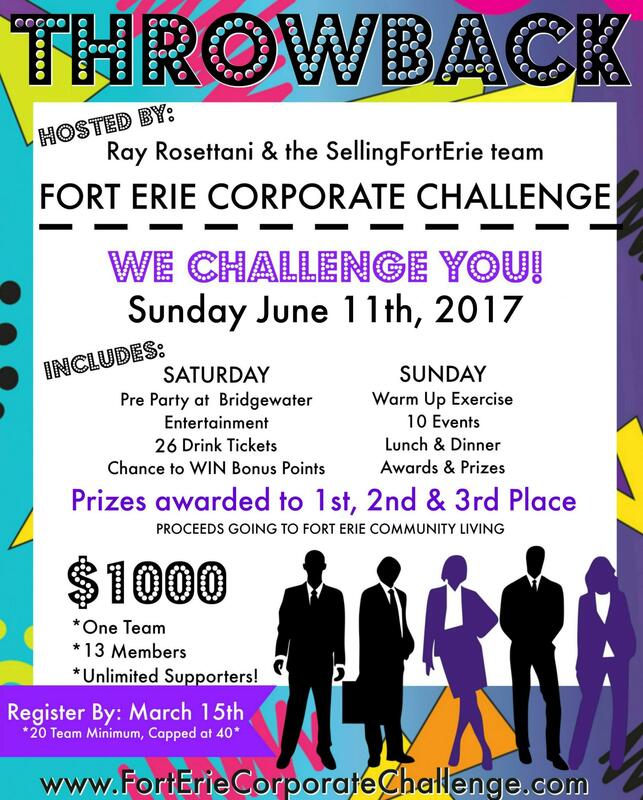 Ray Rosettani and the SellingFortErie team will be bringing back The Fort Erie Corporate Challenge on June 11th, 2017, with a Pre-Party on June 10th, 2017. We challenge you and your company to put together a team of 13, to participate in 10 events earning points and trying to win a company party! Bring on your Team shirts and show your spirit, have fun with friends and build lasting relationships with your co-workers. The Fort Erie Corporate Challenge will be hosted at Bridgewater Country Club in Fort Erie, Ontario on Sunday June 11th, 2017. Registration will start at 7:00am on Sunday June 11th, 2017 followed by Morning Exercise at 8:00am. Events will then begin at 9:00am. Team members can consist of company employees, family and friends. Team members will need to sign insurance waivers for all participants. Participation in pre-events will benefit team standings that will determine winners of 1st, 2nd & 3rd Place. Points will be rewarded for each event (10 events) adding to your accumulating score. Teams are encouraged to be creative on June 11th, 2017 with team shirts, team tent, team cheer & team mascot for BONUS SPIRIT POINTS.